Book Four is set three years after Book Three. Now broken and bruised, Korra begins a journey of self-discovery and survival as the strong prey upon the weak. 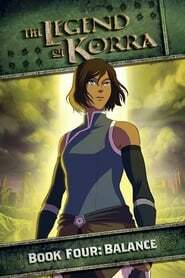 When an aggressive military force rises up led by the power-hungry Kuvira, the fate of the Earth Kingdom hangs in the balance and only the Avatar can set things right.